Stacy Sullivan’s jazz tribute elevates the unknown troubadour back to his rightful place among the glittered gods of ’70s pop-rock. The case of David Ackles is a lesson in the physics of enthusiasm. 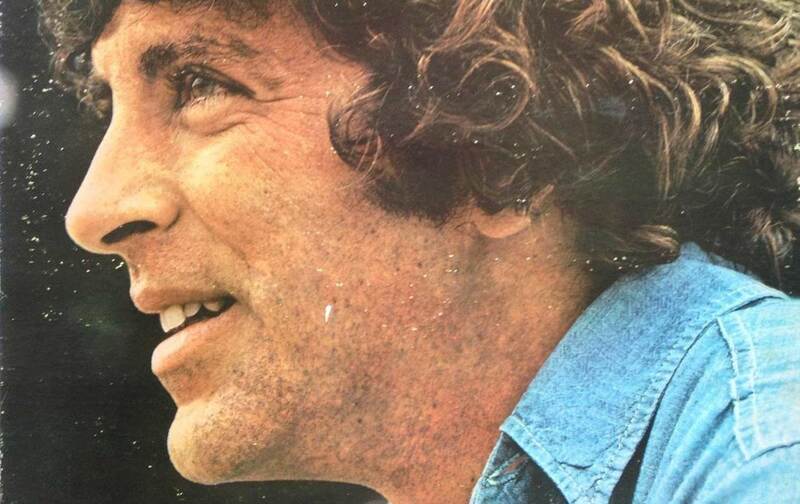 Ackles made four albums as a singer and songwriter between the years of 1968 and 1973, then gave up recording for a life of community-theater work and teaching at USC until his death at age 62 in 1999. It would not be quite right to call him a forgotten artist. He was never well-known enough for many people to forget him. Yet he has always stirred deep ardor in his tiny group of fans. Instead of being somewhat admired by lots of people, as more successful artists are, Ackles has been zealously adored by a few. Ackles’s enthusiasts tend to be people who care deeply about songs: other songwriters such as Elvis Costello, who, in his recently published memoir Unfaithful Music and Disappearing Ink, gushes about Ackles and his influence on Costello’s work; critics such as the late Derek Jewell, who compared Ackles’s 1972 album American Gothic to the Beatles’ Sgt. Pepper’s Lonely Hearts Club Band; and the jazz singer Stacy Sullivan, who is performing a series of small-club concerts dedicated to Ackles, with a nod to another singer-songwriter who once shared a bill with him at the Troubadour in Los Angeles, Elton John. Sullivan’s program, which opened on July 14 at the Metropolitan Room in New York, is both a tribute to Ackles’s music and a testament to the value of personal conviction in the performance of unfamiliar work. Sullivan, a singer of exceptional sensitivity and interpretive skill, cuts deftly to the meaty core of Ackles’s adventurous and unremittingly serious songs. Her show, well staged by the director Mark Nadler with smart musical arrangements by Nadler and piano accompaniment by Yasuhido Fukuoka, is a revelation. Until seeing Sullivan’s superb performance, I had never before given Ackles’s work the attention it deserves. I’m old enough to have been aware of Ackles’s records when they were released—in fact, my best friend and high-school garage-band mate Harry had a copy of Ackles’s eponymous debut album for Elektra Records. I was like the people in Elvis Costello’s youthful circle whom Costello could never persuade to give Ackles a listen. I’m not sure if Costello is referring to everything in the world or everything in his world—the sphere of songs of every kind, where Costello has lived his whole lifetime. He may well have been talking musically, since Ackles’s work is perhaps most distinctive for its free mining of elements from a range of disparate traditions, from 19th-century Americana to the Weimar songs of Brecht and Weill. He was anything but a typical, Dylanesque singer-songwriter. As Sullivan explains early in her performance, Elton John had originally been booked to open for Ackles at the Troubadour until John’s record company persuaded the club to invert the billing. Sullivan sings bits of three Elton John-Bernie Taupin hits, “Your Song,” “Rocket Man,” and “Don’t Let the Sun Go Down on Me,” interspersed among 17 Ackles songs (18 including the encore). By comparison with the Ackles material, the John-Taupin tunes seem thin and glib—catchy, for sure, but slight. Ackles’s songs, by contrast, tells dramatic, but not melodramatic, little stories about real-seeming people: in “Road to Cairo,” a man travelling to see the family he abandoned, only to turn back before he arrived; in “American Gothic,” a couple in a fractured relationship who seem to thrive on their dysfunction and dissatisfaction. Musically, the songs defy categorization, with the melodic cadences of theater music and the rhythms of pop. In his time, Ackles was effusively praised by the critics who heard him, and I’m not going to pile on after the fact. Besides, as distinctive and daring as Ackles was as a songwriter, his music is not quite as rich as Joni Mitchell’s, as wry as Randy Newman’s, or as weighty as Bob Dylan’s. Still, it’s worth well worth remembering—or, more accurately in the case of most of us, well worth discovering. And it will surely never sound better than it does under the masterful ardency of the fine Stacy Sullivan.